Club champions Cooper Geddes and Tammy |Ghisalberti. There were thrilling games in both the men�s and women�s finals, which were followed by the presentation dinner. 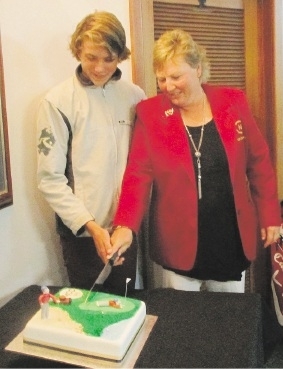 Talented 14-year-old Cooper Geddes became the Men�s Club Champion, with a win over Liam O�Loughlin. Tammy Ghisalberti won the Ladies Club Championship from Danielle Hunt.